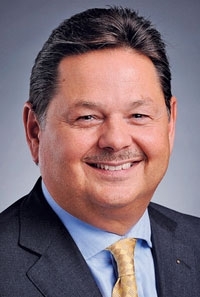 DETROIT -- Daimler AG dismissed Mercedes USA chief Ernst Lieb for violations of human resources and ethics policies relating to household expenses paid by the automaker, The Financial Times reported, citing sources close to the company. Lieb was abruptly removed as head of the automaker's second-largest market on Monday after more than 30 years at Daimler. He has been in the post just over five years. Mercedes gave no reason for his removal and said he is no longer with the company. Across Germany, companies have adopted a zero-tolerance policy on compliance and ethics matters following a string of corporate scandals. The Financial Times, citing three people close to Daimler, said Lieb, 56, was dismissed from the post after the automaker discovered he had paid someone who worked in his household with company funds. Daimler was made aware of the matter by an internal company whistleblower, the paper said on Wednesday. Lieb has had previous compliance issues with the company relating to a golf club membership for his wife that Mercedes paid. When the issue was raised, Lieb reimbursed the company for the cost, the paper said. Daimler paid almost $200 million in penalties in 2010 to settle charges filed by the U.S. Department of Justice and Securities and Exchange Commission that it systematically paid bribes to officials in foreign countries. In February, Daimler appointed former German Judge Christine Hohmann-Dennhardt to its management board with responsibility for integrity and legal affairs.